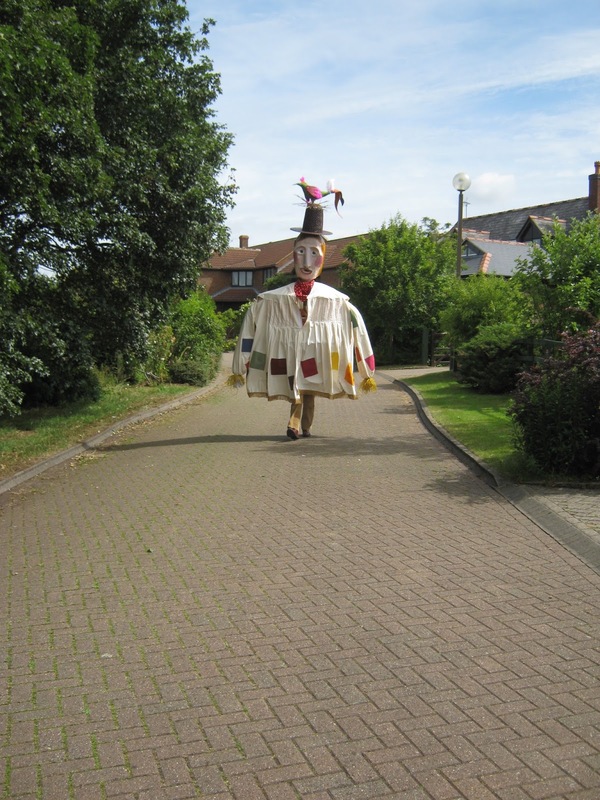 Loughton Scarecrow Trail 2017: Walking with a Giant! First rehearsal with the Loughton Giant! Looks great Julienne. We spotted our first scarecrow in Bradwell Road on the way to the Badminton Centre this evening, the excitement is mounting! He should go on a world tour. And have adventures, and be in a book. And find a nice lady giant. And they should live happily ever after. Thanks for a lovely piece of fantasy.